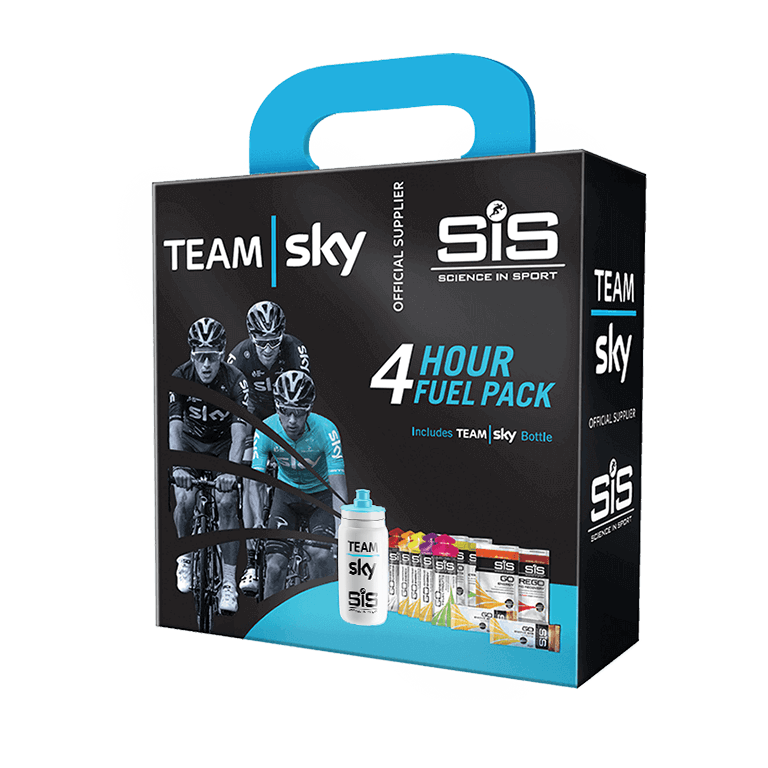 Fahren Sie mit diesem Set, das alles für einen 4-Stunden-Wettkampf enthält, wie die Profis von Team Sky. Das Paket mit einem Inhalt im Wert von über 20 EUR gibt dir zusätzliche Energie für deine nächste Tour! Dieses nagelneue Set für 2018 enthält alle Nährstoffe, die du für 4 Stunden Wettkampf und für die Regenerierung benötigst, wenn du das Fahrrad erst einmal abgestellt hast. Team Sky verwendet 2016 die in diesem Set enthaltenen Produkte, einschließlich der 2018 Trinkflasche mit Fahrradthema. Der Inhalt ist gemäß der unverbindlichen Preisempfehlung mehr als 20 EUR wert. For nutitional information about the individual products within this pack, please see the relevant product page for each product. Good product too price ratio. Cant tell you , haven't received it yet!! It contains a lot of products of excellent quality at a really cheap price. I took a couple of them. I haven't ridden my bike for more than 2 hours in a while. But i have used SIS products and they really help me go that extra mile. Brilliant Fuel Pack & gives you the Energy. Excelente combinación de productos, se agradece poder llevar en los viajes algunos de los productos en dosis pequeñas empaquetadas. The drinks bottle doesn't seem to stay open when drinking and leaks a little. Might have just been mine, but the rest of the package was brilliant as always.